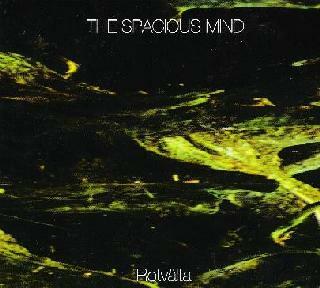 The latest from Swedish space-psych masters The Spacious Mind is an all instrumental journey into meditative space. No song titles. Just 6 tracks that for the most part constitute a single 55 minute piece. The album opens with pulsating spacecraft electronics, a building drum pattern and whining guitar notes. But soon we're assaulted by bashing metallic chords and the volume and intensity level rises, creating a spacey but ominous atmosphere. A nearly 8 minute introductory piece that smoothly transitions to the next track, a 17 minute slab of spaced out psychedelic brain candy. The first 6 minutes consist of sparse bubbling guitar notes, 2-3 simple melodies running parallel with one another and a sense of gently caressing drift, all of which comes together into a beautiful and completely cosmic whole. But then the guitars get aggressive and the band start to really rock out. And this is what these guys excel at. Slowly developing themes that seamlessly mutate and morph through ambient and aggressive segments. Meditational for a while and next thing you know you're rocking out. But on Rotvälta even the heavy rocking parts convey a feeling of atmosphere and sound construction, and that's really what this album is about. Track 4 is the one with the most "song oriented" feeling, and while still a purely spaced out instrumental, it's a shining example of this bands ability to create some of the most beautiful and uniquely crafted psychedelia of any contemporary band. The next track is similarly structured, and the most heavy rocking from beginning to end track of the set. And while I typically dispense with analogies when talking about Spacious Mind music, this track has a definite Pink Floyd edge to it, though it's indelibly stamped with trademark Spacious Mind characteristics. In summary, Rotvälta is pure voyage, from take-off, to floating through space, and finally safe landing. I'm writing all this just one week after having seen The Spacious Mind perform live at the 11th annual Progday festival in Chapel Hill, North Carolina. I've been a fan of the band and their various side projects since having heard their Cosmic Minds at Play album in the mid-90's (still one of the greatest psychedelic albums of all time). I've attended 9 of the 11 Progday festivals and they are noteworthy for booking a wide variety of bands, some of which could only be loosely described as progressive rock. Which in my opinion is a good thing because for me any adventurous, exciting and challenging music falls under the progressive rock umbrella. But a band like the Spacious Mind is very different even for this festival and I was curious to see how the audience would react. I had an Aural Innovations vendor table throughout the weekend but for The Spacious Mind's set I left Debbie to mind the table and dashed up to the stage to watch and take pictures. Right out of the starting gate the band made it clear to the progheads in the crowd that this would not be some symphonic or fusion oriented band. There was no peaceful introductory segment or slow buildup. Instead the band chose to blast the crowd with pure screeching sonic mayhem. It was probably the most aggressive thing I've ever heard from The Spacious Mind, but I think I only saw one person sitting near the front of the stage run away with his ears covered. This only lasted briefly and the band soon settled into a very Rotvälta like set of voyage styled music. The band were a 5 piece of 2 guitars, bass, keyboards and drums, so we got the full Spacious Mind treatment. I was delighted as these opportunities don't come along too often. 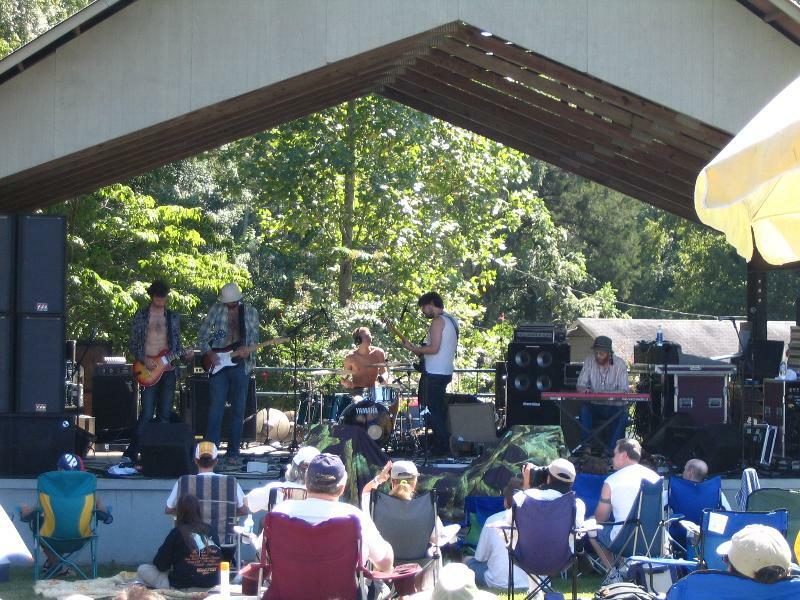 I don't know what the overall opinion was from the crowd but several people I spoke with said they enjoyed it and the few space-psych oriented fans that I see at the fest every year were thrilled. So hopefully between the festival appearance and the other shows the band played in New York City, Washington, DC, Boston and Providence, RI will warrant a return trip to the states. Cross your fingers…..
You can visit The Spacious Mind at their web site: http://www.countrymanrecords.com.